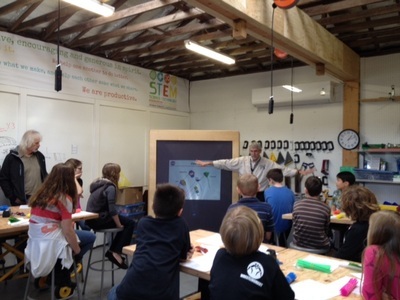 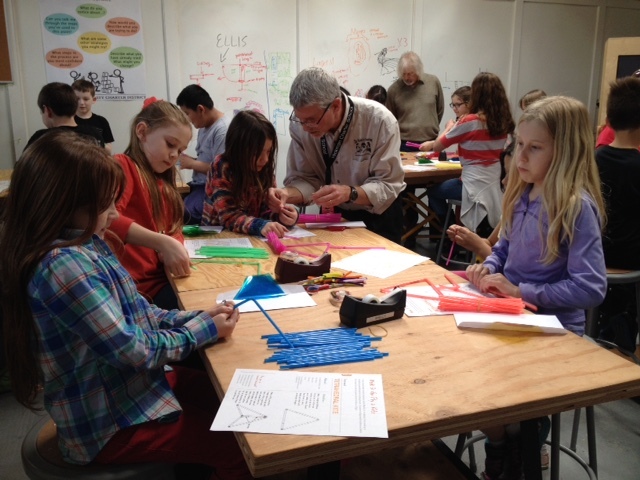 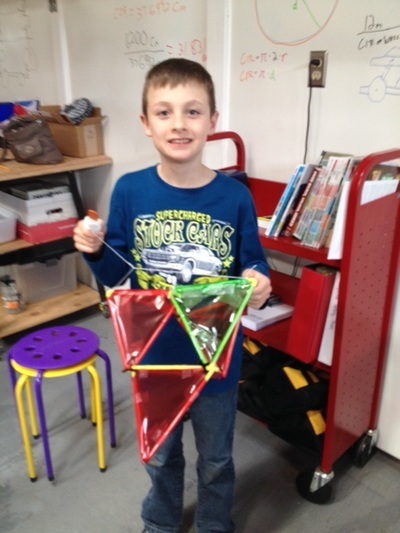 The kids had a fun day learning about the forces of flight and making their own kite. 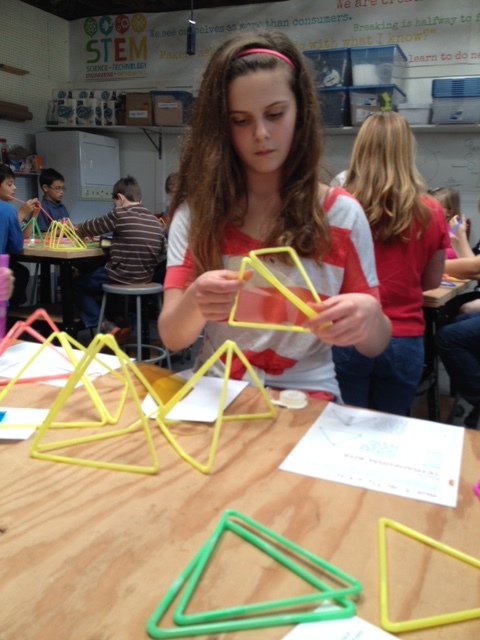 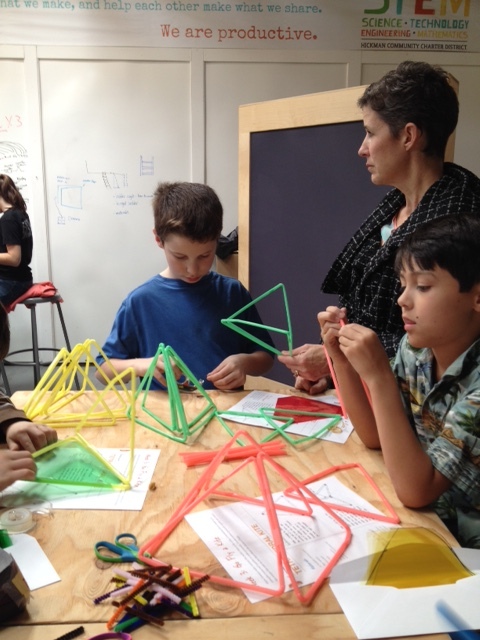 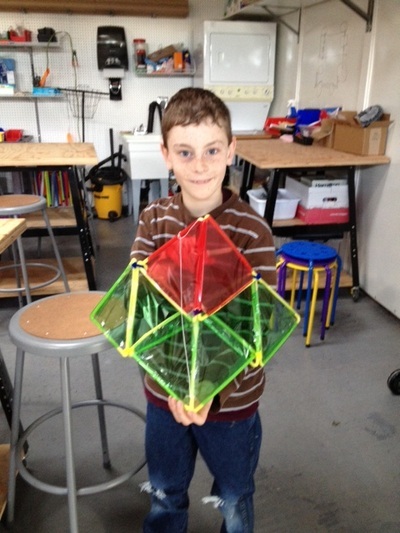 The 3rd - 5th graders constructed a tetrahedral kite made from straws, cellophane, and pipe cleaners. 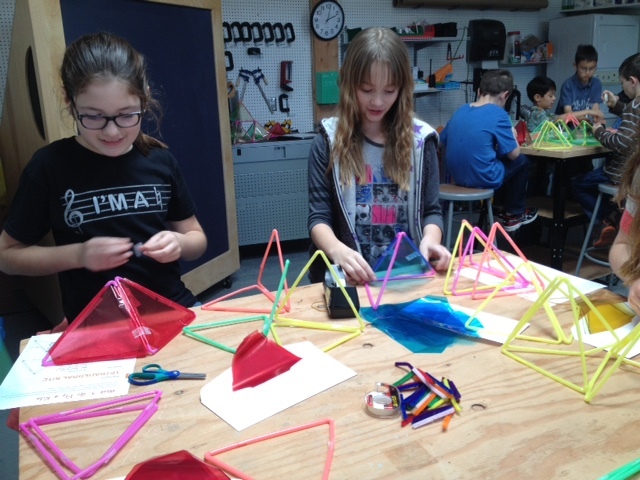 It is made up of triangles connected together to make pyramids. 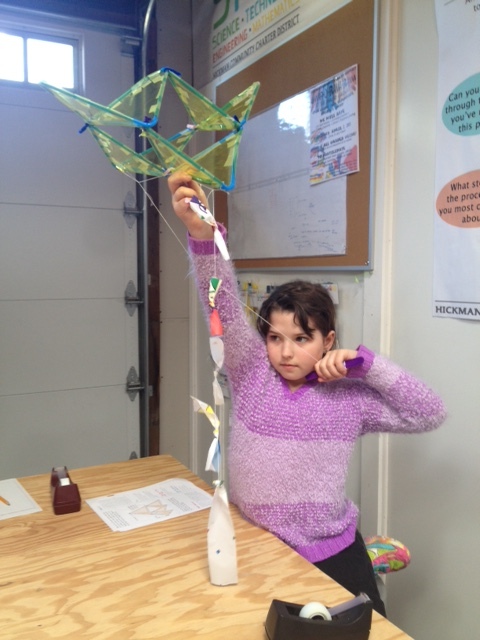 They connected several pyramids together to make this unique kite. If you'd like the directions to make one at home, click here.